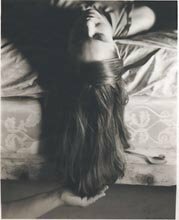 Man Ray... Le Retour à la raison (1923, .mpg video 02:55). From UbuWeb: Film. Frank Lloyd Wright - Choles Crash (November 13, 1933). 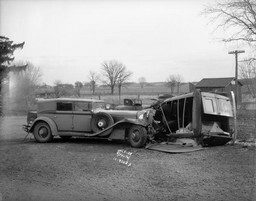 "...Frank Lloyd Wright's 1929 L29 Cord Phaeton automobile and an overturned Choles Floral Company delivery truck, driven by Frost Choles, at an accident scene at Lakeview north of Oregon, corner of Lakeview Road Highway B and Oregon Road Highway MM. The view also contains a sign pointing to Lake Waubesa and Angus McVicar's automobile in the background." From Horses to Horsepower - Automobiles in Wisconsin History at the Wisconsin Historical Society. Alexandre Orion: Metabiotics, June 8 - August 12, 2006 at Foley Gallery in New York, NY. "...Foley Gallery is pleased to announce Metabiotics, an exhibition of new photographs and graffiti by Sao Paulo based artist Alexandre Orion. With white latex and black spray paints in hand, Orion inscribes a Brazilian wall with some of his signature characters: an anonymous tagger, a prostitute, a flying man. Out of sight, he waits with his camera for the right moment, the right person to come into his scene. Truly unaware that they are becoming a major player on his stage, they simultaneously skirt the boundaries of installation and performance art. Orion taps the nature of the "decisive moment" in photography to crystallize these elements that are inspired by the tensions between the two-dimensional and the three-dimensional of an over active street culture." Also... Previous Works by Alexandre Orion. Willard Stewart... Gild Hall (Free Library Station, Arden, 1936-1938, gelatin silver print). From the collection Willard Stewart: Photographs for the WPA & HAPS. "...The University of Delaware's Willard Stewart Photographs for the WPA and HABS Collection contains 246 photographs of landscapes and buildings in Delaware. The collection includes images from throughout Delaware, although the greatest number are from New Castle County, with the architecture of New Castle and Wilmington being extremely well represented. In addition to historic buildings, Stewart also documented businesses, factories, farms, waterscapes, and undeveloped land. Most of the photographs are undated. The two that are have dates of 1936 and 1938, which suggests that the rest of the photographs also date to around these years, as does the fact that some of the images appear in WPA publications that came out also in 1936 and 1938. All of the images are black and white gelatin silver prints." Picked up Shinya Tsukamoto's Bullet Ballet at Kinokuniya Book Store on West 49th Street today. "...Shinya Tsukamoto (Tetsuo, Hiroko The Goblin) continues his investigation into the deviant symbiosis of city and citizen in the highly acclaimed Bullet Ballet. Goda (Shinya Tsukamoto), a successful director of commercials, has his life taken apart by the suicide of his girlfriend, who has shot herself with a gun that she was holding for a friend. Becoming obsessed by the need to possess a Smith and Wesson Chief's Special, Goda begins his willful downward descent into a whirlpool of violence. The film traces his efforts to access the Special and his dawning realization of the use he is to make of it. Shot in luminous black and white, this disturbing production maps out the deep need of humanity to make war; in fact, its need to create war." Don't miss the turbo-charged Bullet Ballet Trailers. The New Yorker... Young At Heart: Dada at MOMA by Peter Schjeldahl. "...What was Dada? What it still is: a word - 'hobbyhorse,' in French. Baby talk. Supposedly plucked at random from a dictionary by a coterie of war-evading young writers and artists in Zurich in 1916, 'dada' was a two-syllable nonsense poem and a craftily meaningless slogan, signalling a rejection of grownup seriousness at a time when grownups by the million were shooting one another to pieces on the Western Front for reasons that rang ever more hollow. Reason itself was made the scapegoat. 'Let us try for once not to be right,' the group's most influential founder, the Romanian poet Tristan Tzara, urged in a quieter passage of one of his careening manifestos. Dada spread like a chain letter among disaffected bohemians after the war. Wired to self-destruct - 'The true Dadas are against Dada,' Tzara enjoined - it was over by 1924, succeeded by imperatives, like those of Surrealism and Constructivism, to be revolutionary in more focussed, even grownup, ways." Boris Tombak... Ministry of Foreign Affairs on the Smolenskaya Square (Moscow, 1989). From The Great Magician Boris Tombak - a selection of architectural photographs by Boris Tombak at The Schusev State Museum of Architecture. The Spotnicks... Say Mama (.mp3 audio 01:55). From the album In Paris, Dansons Avec Les Spotnicks (1963) by The Spotnicks. "...Long before Abba was said to be the first Swedish band to chart in the UK these guys made it. They were a sort of 'Swedish Shadows.' 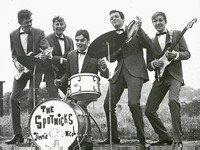 In 1961, the group changed its name from The Frazers to The Spotnicks and they signed a contract with Karusell Records. The Spotnicks spent a lot of time at Casa Leon in Berlin and they also performed in France and Spain. In 1962, The Spotnicks began to get airplay on the influential Radio Luxembourg. The Spotnicks toured England. As a gimmick they wore space-suits while on stage. In the Autumn The Spotnicks recorded their first LP in London, 'The Spotnicks in London Out-a-space.' The whole album was recorded in 17 hours! Single releases from this LP reached quite high spots in the English charts." Gustavs Klucis... Postcard design for the Moscow Spartakiada (1928, Colour paper and photo collage and gouache on paper, on card board, The State Museum of Art, Riga, Latvia). From Modernism: Designing a New World, 1914-1939 at the Victoria and Albert Museum. "...Modernism was not conceived as a style but a loose collection of ideas. It was a term which covered a range of movements and styles that largely rejected history and applied ornament, and which embraced abstraction. Born of great cosmopolitan centres, it flourished in Germany and Holland, as well as in Moscow, Paris, Prague and New York. Modernists had a utopian desire to create a better world. They believed in technology as the key means to achieve social improvement and in the machine as a symbol of that aspiration. All of these principles were frequently combined with social and political beliefs (largely left-leaning) which held that design and art could, and should, transform society." Henrik Ibsen | Verso (Cabinet Card Portrait, Benjamin R. Tucker papers, 1860s-1970s, bulk (1870s-1930s)). From Cabinet Card Portraits in the Collection of Radical Publisher Benjamin R. Tucker. "...Benjamin Ricketson Tucker (1854-1939) published The Radical Review from 1877 to 1878, and the anarchist magazine Liberty from 1881 to 1908. The journal’s banner read 'Liberty – Not the daughter but the mother of order,' signaling Tucker's stance as a philosophical or individualist anarchist. His magazine was the first to publish George Bernard Shaw in the U.S., and to translate Pierre Joseph Proudhon. Tucker also published other works considered radical at the time, such as Walt Whitman's Leaves of Grass, Tolstoy's Kreutzer Sonata, and Oscar Wilde's Ballad of Reading Gaol." Vladimír Komárek: Grafika. "...Vladimir Komarek became a legendary character in the Czech graphic scene. He was one of the artists whose work appeals to thousands of art lovers irrespective of age or education. Although he worked with simple motives and grave variety of colours, he managed to create his own imaginative and highly spiritual world. In painting as well as in graphic his imagination made just with motives of flowers on the table, a mirror on the wall, a chair or a cupboard. He created the world of silence where everybody would like to live. Gallery Art in Chrudim exhibits 90 woodcuts, etchings and litographs dated to all periods of Komarek's life. The Shadows... Shadoogie (.mp3 audio 02:28), Baby My Heart (.mp3 audio 02:18), Nivram (.mp3 audio 03:24), and See You In My Drums (.mp3 audio 02:52). From the EP The Shadows No 2 (1962, Columbia SEG 8148). From The Sound of The Shadows. Don't miss The Letter (.mp3 audio 02:03) - their 1967 cover of The Box Tops' hit. Anita Carter... Hillbilly Heaven (RealAudio 02:35). Alice Austin. "...Alice Austen was introduced to photography when she was 10 years old by her Uncle Oswald, who brought home an early-model dry plate camera from one of his many trips abroad. Alice showed immediate and natural ability. Through experimentation she taught herself how to operate the complex camera mechanism, judge exposure, develop the heavy glass plates, and make prints. By the time she was 18 in 1884, she was not only technically skilled but artistically accomplished as well." Nixon the Man (Flash Video 04:21). "...In 1971, President Nixon’s approval rating fell below fifty percent. Despite his 1968 promises to end the Vietnam war, the conflict was dragging on. On the domestic front, inflation and unemployment were rising. 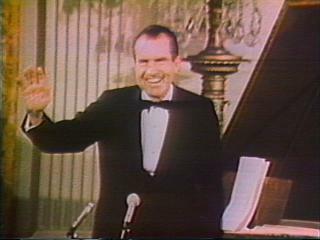 Nixon restored his popularity in the election year through a carefully orchestrated series of actions. He made unprecedented diplomatic tours of China and Russia, stepped up efforts to end the war in Vietnam by ordering the bombing of Hanoi, instituted wage and price controls, and ended the military draft - a politically advantageous move given the recent lowering of the voting age from 21 to 18. Nixon’s opponent, liberal South Dakota Senator George McGovern - who won his party’s nomination with a remarkable grassroots campaign sparked by the antiwar movement - called for unilateral American withdrawal from Vietnam and a significant reduction in military spending. McGovern named as his running mate Missouri Senator Thomas Eagleton, who, shortly after the convention, revealed that he had been hospitalized for depression and had received shock therapy. At first, McGovern announced his "1,000 percent" support for Eagleton, but he went on to drop him from the ticket and replace him with former ambassador R. Sargent Shriver. The incident created an impression of ineptitude that plagued McGovern throughout the campaign." From The Living Room Candidate: Presidential Campaign Commercials, 1952-2004 at The Museum of the Moving Image. The Guardian... View from the exterior - It's naive, obsessive and often done with no skill at all. Why are we so entranced by outsider art? (Philip Hensher, Monday, June 12, 2006). "...The fascination of outsider art is brilliantly explored by an exhibition at the Whitechapel Gallery in London, Inner Worlds Outside. It sets the work of self-taught obsessives - sometimes, people with mental illness - next to the work of classic artists who had an interest in their bizarre work. That's always been the rationale for taking it seriously. In previous generations, western artists discovered African tribal art, children's art, graffiti - things outside the accepted canon - and learned from those simplicities. Subsequently, artists such as Klee and Dubuffet imitated the outsiders, and their art was rejuvenated." ... Inner Worlds Outside, 28 April - 25 June 2006 at Whitechapel Gallery in London. The Les Paul Show (June 23, 1950, .mp3 audio 14:09). The Les Paul Show starring Les Paul, Mary Ford, The Les Paul Trio, and one recording machine. QuickTime versions (15 and 30 seconds) of the Japanese television commercials for Daikin Air Conditioners featuring my son Kyle. Jindrich Streit... The Village is a Global World. "...These photographs are drawn form the work of Czech documentary photographer Jindrich Streit, produced during his visit to South West Durham in Spring 1995. He was invited to offer an outsider's eye on villages, which have lost their original, mining-related, identity. Since the West Durham pit closures of the 60s and 70s, villages like Bearpark, Witton Park and Tow Law have experienced a slow transition towards an uncertain future. Rookhope, towards the top of Weardale, is experiencing a similar fate after its lead and fluorspar mining past ended during the same period." Max Ernst... Two Children Are Threatened by a Nightingale (1924. Oil on wood with painted wood elements and frame). "...Made in 1924, the year of Surrealism’s founding, Ernst described this work as 'the last consequence of his [sic] early collages — and a kind of farewell to a technique...' He later gave two possible autobiographical references for the nightingale: the death of his sister in 1897, and a fevered hallucination he recalled in which the wood grain of a panel near his bed took on 'successively the aspect of an eye, a nose, a bird’s head, a menacing nightingale, a spinning top, and so on.'" From the exhibition Dada, June 18 – September 11, 2006 at the Museum of Modern Art in New York, NY. The Museum of Communism in Prague. "...This is the first museum in Prague (since the Velvet Revolution) exclusively devoted to a system established in the sphere of the former Soviet Union. The original items and meticulous installations containing authentic artefacts will be displayed in the three main rooms, while the adjacent projection room will provide a space for regular film screenings, educational activities, occasional lectures and temporary displays pertaining to the subject of the permanent exhibition. Went to Midtown Comics at 200 West 40th Street in New York today. 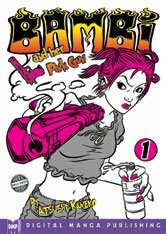 Picked up volume one of Bambi and Her Pink Gun - an English version of Kaneko Atsushi's Bambi, published in Japan from 1998. Billiou-Stillwell-Perine House (showing 1662 section and 1830 section). From Staten Island in Vintage Postcards at the NYPL Digital Gallery. "...768 postcards depicting the buildings, scenery, and daily life of Staten Island from the late 19th-century until well into the 20th-century." I'm off to the east coast tomorrow where I'll be visting my brother Bill in Short Hills, NJ and my brother John at the Billiou-Stillwell-Perine House on Staten Island. The Black Keys... Meet Me In The City (.mp3 audio 03:38). From the album Chulahoma - The Songs of Junior Kimbrough at Fat Possum Records. Midnight Eye review... Assassination (Ansatsu, 1964, director: Masahiro Shinoda). "...Historically Shinoda is most firmly associated with the mould-breaking group of young directors who produced work outside of the studio system in the 60s and were known as the Japanese New Wave. The New Wave is said to have been initiated in the late 50s when Shochiku gave the green light for three of its younger directors to make their debuts while still under the age of 30. The films of the trio, Nagisa Oshima, Yoshishige (a.k.a. Kiju) Yoshida and Shinoda himself, suggested a break from the traditional filmmaking practices of Japan's second golden age as represented by the internationally-feted works of Akira Kurosawa, Yasujiro Ozu and Kenji Mizoguchi. In truth however, the New Wave was never a real movement as such, with the directors encompassed under this descriptive umbrella all coming from radically different politicial backgrounds and working under different production circumstances." Andrea Modica... Fountain, CO (2004). From the exhibition From Treadwell to Fountain - works by Andrea Modica at Catherine Edelman Gallery in Chicago, IL. Frank Lloyd Wright's River Forest Tennis Club Membership Card (1908). "...Frank Lloyd Wright's membership card from the River Forest Tennis Club for the 1908 season. The image on the card is of the River Forest Tennis Club designed by Frank Lloyd Wright. From Ephemera at the Wisconsin Historical Society. Bulgarian Pravetz 82. "...The next model of the IMKO-Series was the IMKO-2. IMKO-2 was a code name for the Pravetz-82. The Pravetz computer got its name from year of production (1982) and the town of Pravetz where the computer was mass-produced. Pravetz is just outside Botevgrad, about thirty eight kilometres north east of the Bulgarian capital of Sofia." From East-European Home-Computers at the Home Computer Museum. Eugene Von Bruenchenhein... 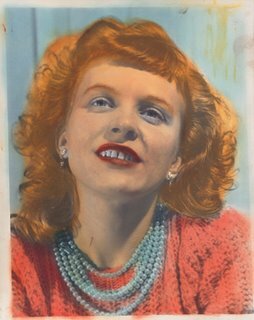 Portrait of Marie in Sweater and Pearls (c. 1940s, Hand-tinted gelatin silver print, American Folk Art Museum, gift of Lewis and Jean Greenblatt). I'm off to visit my brothers in Short Hills, NJ and on Staten Island next week. While there I hope to visit a few museums and galleries in New York. Plan to go to the American Folk Art Museum (45 West 53rd Street), Ubu Gallery (416 East 59th Street), Galerie St. Etienne (24 West 57th Street), and others. Any other recommendations? The Curious Passions of Sergeant Bertrand (QuickTime). "...In this stand-alone short film adapted from the feature Psychopathia Sexualis a case of necrophilia is dramatized through Victorian-style shadow play, utilizing the actual confessions of the sexual criminal. Shadow puppetry designed by Jason Hines." 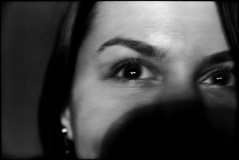 From Psychopathia Sexualis - a film by Bret Wood. "...Employing a complex multi-narrative structure, Psychopathia Sexualis dramatizes case histories of turn-of-the-century sexual deviance, drawn from the pages of Richard von Krafft-Ebing's notorious medical text." Not Coming to a Theater Near You... Seijun Suzuki's Taisho Trilogy. "...Suzuki was a contract director on an industrial production line, who took the time-honoured route of serving first as an assistant director before Nikkatsu promoted him to fully-fledged director in 1956. From then, he churned out a stream of genre films (in 1961 he made seven), mostly yakuza flicks, although Gate of Flesh, Story of a Prostitute, and Fighting Elegy represent his own way of reflecting upon Japanese history. But whatever the genre, Suzuki’s films display a consistent and ever-expanding play with the films’ form: composition, lighting, colour, editing, and so on. The more conventionally-pulp yakuza pictures (conventional, before things blasted off into the stratosphere with Branded to Kill) in particular seem as if they’re exploded from within through Suzuki’s stylistic tics." New York Times... Look at Me - Lee Miller: A Life by Carolyn Burke reviewed by Elissa Schappell. "...It seems fitting that Carolyn Burke, whose first biography corrected history's error of undervaluing the avant-garde poet and artist Mina Loy, has written 'Lee Miller: A Life.' Fitting, also, that she begins the tale of a forgotten visionary photographer who was muse and lover to some of the most influential artists of the early 20th century, as well as one of the few women able to transcend this role and become an artistic force in her own right, with Miller's birth as a muse." Orly Cogan: Tangled Up In You - New Embroidery Work on Vintage Fabrics, June 02 – July 08, 2006 at Carl Hammer Gallery in Chicago, IL. Also... 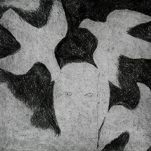 Drawing by Orly Cogan at Paul Kopeikin Gallery in Los Angeles and Works by Orly Cogan at her personal site. "...To paraphrase an old song, Orly Cogan enjoys being a girl, and her embroidered nudes offer a flip, hip irreverent take on the conventions of femininity. She achieves her signature look by stitching figures on dainty vintage fabrics. These found linens, which once served as table runners, bureau scarves and tablecloths in a more modest age, were already embroidered once by an earlier and more circumscribed generation of women. Cogan adds to these quaint decorations a layer of attitude that updates old-fashioned womanly crafts with a kind of happy-go-lucky postmodern perversity." Stephen Shore... Amarillo, Texas, July, 1972 p 95U (1972-2005, c-print). From Stephen Shore: American Surfaces at 303 Gallery in New York, NY. "...Stephen Shore's color photographs, taken during the early 1970's, mark the passage of time and reflect on a meditative approach to picture making. At the time, Shore was among the very first American photographers who began working in color photography and introduced the medium into the contemporary art dialogue. Shore's most celebrated work captures the intersections, meals, hotel rooms and people that he encountered on his trips throughout the Untied States, the first of which followed Route 66." Man's Men: Portraits by Man Ray, May 2 - June 30, 2006 at Zabriskie Gallery in New York, NY. "...Whatever social laurel was conferred upon the sitter, Man Ray certainly used his camera to build relationships and secure his station in the constellation of movers-and-shakers in Paris. Though many portraits of celebrities and socialites were commissioned, as was that of James Joyce (shortly before the publication of Ulysses), Man Ray did many portraits of his friends and other respected artists of his own accord. Picasso had invited Man Ray to simply photograph his work, but an extra plate left over after the session gave Ray the opportunity create a powerful portrait." Hermann Max Pechstein... Our Father Who Art in Heaven (1921, Hand-colored woodcut on heavy wove paper, Signed lower right, and signed by F. Voigt, lower left. From the edition of 50 impressions, handcolored uner the artist's supervision, Plate 2 from the cycle The Lord's Prayer). From the exhibition Recent Acquisitions (And Some Thoughts on the Current Art Market), June 6, 2006 - September 8, 2006 at Galerie St. Etienne in New York, NY. "...This year, the summer show will, in its first few weeks, focus heavily on self-taught art. Included will be some of the more popular artists from Parallel Visions II, such as Chelo Amezcua, Emery Blagdon, Haroyuki Doi, Augustin Lesage and Martin Thompson. Ilija, whose debut exhibition in January was extremely successful, will make an encore appearance, as will our long-standing favorite, Grandma Moses. Among the works by Expressionists (which will be augmented during the later weeks of the summer) are new arrivals by Lovis Corinth, George Grosz, Erich Heckel, Paul Klee, Gustav Klimt, Oskar Kokoschka, Käthe Kollwitz, Paula Modersohn-Becker, Emil Nolde, Hermann Max Pechstein and Egon Schiele. Sue Coe will be represented by a brand new series of drawings, on Hurricane Katrina, as well as by several of her now classic paintings from the 1980s." Hans Bellmer: Petites Anatomies, Petites Images, May 2 - July 28, 2006 at Ubu Gallery in New York, NY. 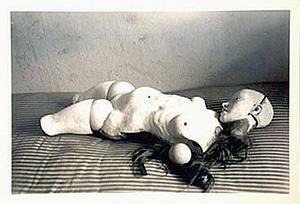 "...Ubu Gallery announces an exhibition of approximately 70 small-format, vintage photographs by Hans Bellmer (1902–1975), whose overt influence on current art trends still far outweighs the recognition of his emotionally- and intellectually-charged oeuvre. The exhibition will present the earliest examples of Bellmer’s photographic output—specifically, miniatures created in 1934 in connection with the realization of the original German edition of Die Puppe and contact prints of images made between 1935 and 1938, which were considered for inclusion in Les Jeux de la poupée. Bellmer’s photographic activity was sporadic and his production was limited—no more than 150 different images (and within this group many just subtly varied)—yet it possesses an extraordinary richness and individuality without peer in Surrealism." Alice in Dairyland, 1951. "...Alice in Dairyland, Margean Czerwinski, wearing a tiara and gown rides on the back of a Harley-Davidson motorcycle." From Wisconsin Royalty: Alice in Dairyland. "...Alice in Dairyland got her start in 1948 when she hosted the Wisconsin Centennial Exposition at State Fair Park in West Allis. A huge papier-mache 'Alice' answered questions from children while the real Alice, Margaret McGuire Blott, remained seated just offstage. This Alice doll was re-created in the reigning Alice's likeness for several years." The Moon Rocket Friede. "...In 1929, director Fritz Lang released the film Frau im Mond (Woman in the Moon), a prophetic vision of space travel. In it, a group of adventurers travels by rocket to search for gold on the Moon. Their ship is the Friede, a futuristic multi-stage, liquid-fuelled rocket designed for the film by Germany's leading spaceflight pioneer, Hermann Oberth. So advanced was the design that the German government later seized the drawings, models and prints of the film, considering them state secrets. The movie helped generate tremendous interest in rocketry in Germany, and was the most realistic depiction of space flight until the 1950s." Copy and paste the urls below to see 15 sec. and 30 sec. versions of the latest Daikin Japanese television commercials featuring my son Kyle. Kyle is on the viewer's right throughout (.wmv video 00:15, 00:30). Gabriella Cseh: Offshoot. "...Gabriella Cseh's photographs are traditional in the literal sense of the word, since they're black and white. However, in an abstract sense, they are anything but traditional. We might say, or rather, I might cautiously say that these pictures are mischievous, they are winking at us. There are moments when they are clearly laughing, but it's all the same. Joyous and somber. Modest and suggestive, capacious and narrow, but these too are all the same. In no way, or semmiképp, is there anything unusual about the locations where the pictures have been taken. Instead what's unique is the person who took these, who, even while capable of showing a thousand faces, remains the same. Wild and quiet, provocative, still, and restless, mature and child-like. Her pictures, however, are composed and coincidental, they are deft." The Billy Nayer Show with Bill Buell... Love Smiles (.mp3 audio 01:58). From The American Astronaut - easily the best movie released in the last 10 years. Andrei Tarkovsky at Strictly Film School. Akira Kurosawa... Tarkovsky and Solaris (originally written for the Asahi Shinbun Newspaper, and published in the evening edition, on 13 May, 1977). "...I met Tarkovsky for the first time when I attended my welcome luncheon at the Mosfilm during my first visit to Soviet Russia. He was small, thin, looked a little frail, and at the same time exceptionally intelligent, and unusually shrewd and sensitive. I thought he somehow resembled Toru Takemitsu, but I don't know why. Then he excused himself saying, 'I still have work to do,' and disappeared, and after a while I heard such a big explosion as to make all the glass windows of the dining hall tremble hard. Seeing me taken aback, the boss of the Mosfilm said with a meaningful smile: 'You know another world war does not break out. Tarkovsky just launched a rocket. This work with Tarkovsky, however, has proved a Great War for me.' That was the way I knew Tarkovsky was shooting Solaris." From Nostalghia - an Andrei Tarkovsky information site.